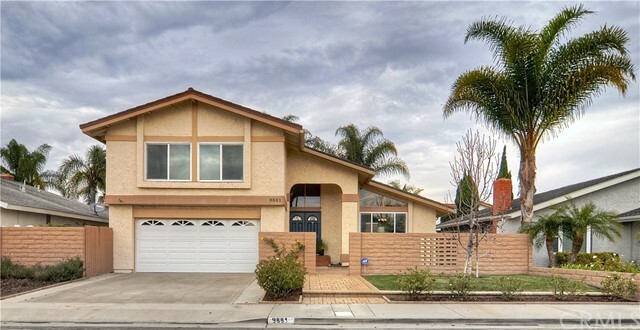 Wonderful Opportunity to Own a Home in South Huntington Beach! This Charming Two-Story, Split Level, S&SHome is located in the desirable Park Huntington neighborhood features 4 Bedroom, 2.5 Bath, 1,939 SF w/Top-Rated Ralph E. Hawes Elementary School & Issac L. Sowers Middle School walking distance! Plus, a Neighborhood Park inside track! Just 4 blocks from the Beach, this Lovely Home features a Private Front Courtyard Area, Beautiful Double Entry Doors, Newer Custom Exterior & Interior Paint w/Baseboards, Newer Dual Pane Windows, Smooth Ceilings, Newer Lighting Fixtures Throughout, Newer Carpet in Living Rm, Dining Rm & Stairway. Downstairs features a Formal Living Rm, Dining Rm, Family Rm (w/Wood or Gas Burning Fireplace), Remodeled Guest Half Bathrm and Light & Bright Kitchen w/Wood Flooring that overlooks Well-Manicured Backyard. Upstairs Features 4 Bedrms & 2 Full Bathrms. Large Master Bedrm has High Ceilings w/Walk-In Closet & Plenty of Space to Add a Separate Seating Area or Office. Master Bathrm has Walk-In Shower w/Tile Surround & Glass Door. 3 Additional Bedrms All feature Wood Laminate Flooring w/Custom Baseboards, Ceiling Fan & Closet, Remodeled Hallway Full Bathrm has Tub/Shower Combo w/Glass Sliding Doors & Skylight for Added Natural Light. Spacious Backyard has both Hardscape & Softscape Ready for you to Customize! This Delightful Home located in Top-Rated Huntington Beach Schools is just 4 Blocks from the Beach! Minutes from Shopping, Dining, Parks & Freeways!